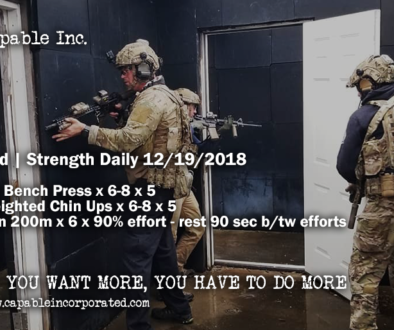 End | Strength Daily 12-20-2018 – Capable Inc. 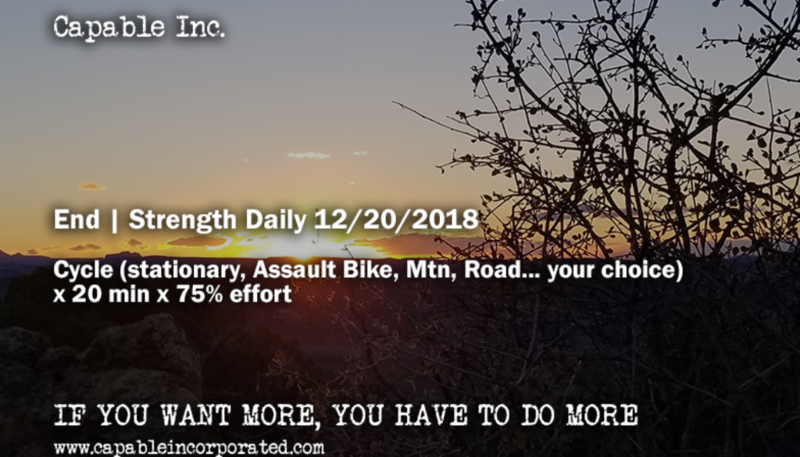 Endurance and Strength Daily or End | Strength Daily is a good starting point to “do something difficult”. 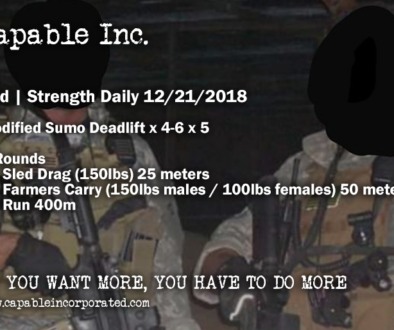 Coaching and Personalized Programming are very important at the beginning of your training and at the end of your training cycle to sharpen you prior to challenges or competition. 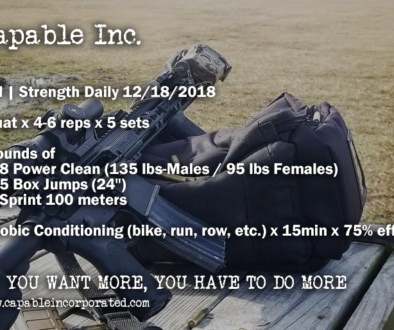 If you are moving through the End | Strength Daily with no issues it is time for you to choose a goal and begin working towards it, you can utilize our pre-built programs as part of your next step.